Towards the end of Bernie Sanders’s presidential run, one of his main points of contention was the superdelegate system, which he believed was weighted in favor of Hillary Clinton at the hands of the DNC, specifically Chair Debbie Wasserman Schultz (D-FL). Always up for a good political fight, Sanders is now on the side of her opponent, Tim Canova, in Florida’s Democratic primary this August. Canova has been critical of the Federal Reserve since the 1980s, working as an aide to Democratic Senator Paul Tsongas and pointing out, as his bio notes, the dangers of subprime lending decades before the foreclosure crisis. He’s also got a laundry list of supporting progressive views, some of which—like marijuana reform, for instance—Wasserman Schultz opposes or skews right on. 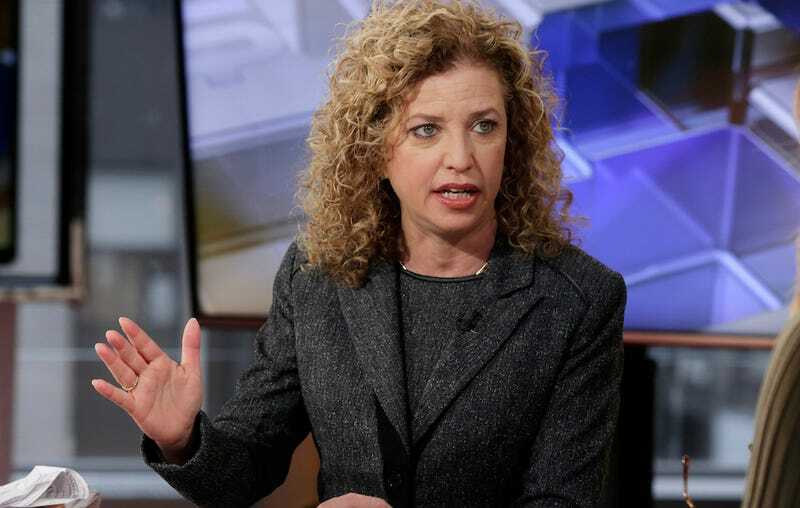 But as the Observer notes, Wasserman Schultz is supported by both Clinton and President Obama, and thus far has not agreed to debate Canova before the primary—despite, apparently, an opposition video and petition by the Canova campaign highlighting her refusals. On Tuesday, the Miami New Times ran a piece about the Canova campaign that featured a quote from an anonymous Sanders staffer calling Canova’s run “the proxy campaign.” Wasserman Schultz did not participate in the piece or grant the New Times an interview, but it details both her many accomplishments and some of the grievances Democrats have had, both within and outside of the establishment. Canova decided to run, he told the New Times, last June, after Wasserman Schultz voted for the Trans Pacific Partnership. This past January, Canova, with no formal plan or campaign staff, threw his name into the ring, loaning his campaign $15,000 — money he’d planned to use to buy a house. “My plan for day one,” he says, “is to build a coalition to overturn Citizens United,” a 2010 Supreme Court decision that removed limits on donations from corporations. Canova virtually adopted Sanders’ platform: He began talking about universal, state-sponsored health care and ending the War on Drugs. But Canova knows he’s running against near-impossible odds: In the Democratic presidential primary, 72 percent of Broward County, which makes up most of Wasserman Schultz’s district, voted for Hillary Clinton. In a proxy fight, where Clinton voters would presumably vote for Wasserman Schultz, those are dreadful prospects. “We’ve got an uphill battle,” Canova admits. Our Revolution, Bernie Sanders’s political organization, is also the name of his forthcoming book—Our Revolution: A Future to Believe In—which will be published by St. Martin’s Press on November 15.